The year 2016-2017 was a flat year for the UPS industry. Some companies grew while others failed to do so. Maintaining nearly the same growth as last year. The industry netted revenues to the tune of INR 5442.87 crore. This is exclusively the end-user sales figure. However the over all industry revenue was estimated at INR 5700.00 crore approx. The reason why the total industry revenue is much higher then the actual end-user sales is because many a companies procure finished products from others & brand them as theirs, and our survey team gets the turnover from both, resulting in duplication. With nearly 331 companies responding to our survey, giving us the information we sought in great detail, knowing fully well how much the company has man-ufactured with excise paid. And also trying to find out, which companies procure finished products from others & brand them as theirs, an exercise which We have been doing only since last few years, we did all of it again to give continuity to the process. Out of 331 companies responding only 179 companies were awarded with SD Ratings. However most of companies are facing it with ease to match quarter to quarter sales of 16-17 in 17-18. We are sure the figure which we have arrived at i.e. the actual end-user sales revenue of INR 5700.00 crore mark will definitely be crossed with ease, in the current fiscal in 17-18. Growth wise it has been a mixed year with some of the majors growing while others dipping. Revenue-wise : This year 2016-17, the industry grew by 6.27% & revenues grew up to 5442.87 crores, a clear indicator that less than 5% growth in past years is over and even fiscal (2017-2018) the growth will be over 6.5% to 7.0% for sure. Even though industry is getting itself to tune with GST. Volume-wise : Industry grew by 16.0% over previous year in volume terms. This clearly indicates shrinking margins in cases of orders obtained thru tenders and sales to SI's. One must be clear in mind that this is a very good performance considering the stiff competition and the squeezed margins in view of hammering the companies got during the global economic meltdown & currently facing Indian Rupee slide and a strong dollar value. Of the total revenue of 5442.87 crores, Online UPSs accounted for 93% while Offline / Line interactive UPSs accounted for nearly 3%, while other products including servos & change of batteries not under maintenance accounting for the rest. We have not included the Home UPS sales figure in this analysis . Of the total revenue organized sector accounted for nearly 79% while 21% came through semi organized and unorganized sector. Softdisk went about finding the state of the industry and also how deep they were actually effected by demonetization and GST, The first two quarters of the financial year 2017-18 were better than last year. Projects have been few but the demands continue, in the current fiscal no major projects came up baring a few. The overall effect is putting expansion plans on hold. They have given more stress on best utilization of their existing facility and infrastructure. Growth for big IT, ITES & TELCOM segment even during reversionary trend continued its positive trend for tower infrastructure. This has kept mid segment market for UPS going well (up-to 200KVA). A small power data center with power requirement of 20, 60 to 200KVA rating are also going as per plans. The Industrial market segment covering Power, Energy, Manufacturing, Steel, Cement, Oil & Gas, always experienced steady and normal growth of 10-12%. The same is continuing in this year. Softdisk believes that more and more people are moving towards Solar. Solar PC units are the new mantra for the UPS Companies, some have even manufactured and installed Grid Sharing Solar UPS, with hybrid charge facility (Photovoltaic & Mains). With consolidation being the mantra for Industry. One can say the entire Online UPS market can be divided into following APC-Schneider, Vertiv Liebert, Numeric, Hitachi, Consul, AVO, Eaton, CyberPower & Other major players BPE, Socomec, Power One, Techser & Hykon & the rest. 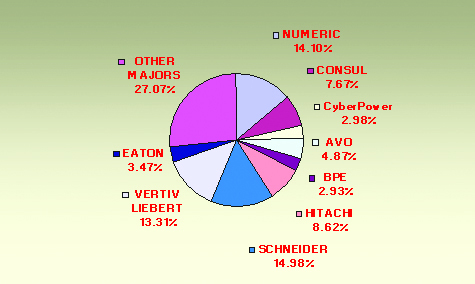 Talking of market share APC SCHNEIDER has the highest market share of 14.98% followed closely by Numeric 14.10 and Liebert with 13.31%, Hitachi has 8.62%, Consul 7.67%, AVO 4.87%, Eaton 3.47% & so on as shown in graph above. While other major players account for rest. Softdisk had predicted in June 2016 that the total industry revenue will cross INR 5500 crore mark by March, 2017. We talked to Industry Captains trying to know what the Industry leaders thought. Many had little or no doubt to what Softdisk has predicted earlier, even though this response was at time when the global economies were trying to come out of worst ever economic crises, and Indian market was also shaken by demonetization and fear GST Impact. As on date we feel that nearing 5442.87 crore mark for end-user sales and 5700 crore mark including secondary sales was quiet a close prediction. Softdisk remains committed to transparent reporting, in-depth analysis and always throwing up forecast & estimates which you can Rely Upon. We have Faith, You Rely on us, We Rely on facts. According to Mr. Rajaram Rammurthy, MD E&C With the government GST has been introduced since July 1, 2017. Though this was in the air for quite some time, the fact that GST will be implemented from July 1, 2017 for sure was clear only during the last week of June 2017. Given the size of Indian economy and the way business is done in India, the side effects of a poorly planned implementation was not thought through. Too many changes in too small a time. More so, the penal provisions which are incorporated are too stringent and given the discipline that is currently, it is not possible to adhere without a large working capital. The tax laws in India have always been unclear especially with the applicable rates for various products. This invariably gave a lot of room for the tax authorities to harass at the time of assessment which happens after several years. By then lot of damage has already happened and the manufacturers are left with no other option than to go to the courts for remedy which in general takes a lot of resources to fight. This aspect of vagueness in tax rates has not changed and such uncertainties prevail in the GST regime as well. On the issue of Input tax credit he states that as compared to the previous tax regime, the input tax credit is available only when the suppliers pay their output tax. The system was easier in the previous tax regime where the input tax could be taken as credit when the goods are received inward. The system was not costing anything to the Government as the tax had to be paid sooner or later by the suppliers with applicable interest and penalties. Currently, in the current tax regime, tax should be paid by the suppliers so that the tax can be taken as credit by the customer. With the credit squeeze and poor liquidity, this is a problem for most tax payers as there is uncertainty on the availability of the tax credit as suppliers may not have the liquidity to pay the taxes. On the he adds, As we are in the services sector and UPS being vital for any business, we could not move the service engineers as they have to be fed with cash and cash was not available in the ATMs even if the funds were in their accounts. Services took a huge hit with respect to time. In most cases, we had to request the our Bank Customers to help us with the required cash to get the work done for Bank and other Customers. While the Government says that one has to suffer the short term pain for long term gains, the entire preparation for this exercise could have been done better. 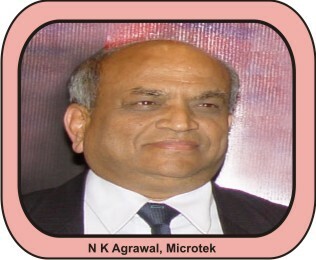 Talking on the subject of slowdown in the market Mr. N K Agrawal of Delhi based Microtek laments that in 2016-17 market has been slowed down and was not buoyant. With the introduction of GST he hopes that unorganized sector will reduce and in the long run GST will benefit the branded organized players. On the question Input tax credit he believes ITC is quite appropriate but net result we will be able to access after few months of the GST rates being applicable. On the other hand he lauds BIS introduction as in UPS segment as such the unorganized market has been marginalized because of low profit margins, hence BIS has allowed the organized players like Microtek to play safe. With all this (Slowing down of Economy, Demonetization & introduction of GST), he still feel that the UPS Segment will show a growth in coming years also all though not in double digit. We have to give some time to the new govt at the center which is reformist & is trying its best to bring back the economy back on track. (Here it is worth mentioning that Softdisk figure does not include the revenue generated by Inverters, which too is effected by the slow down.) As regards to our expansion we have already come up with complete range of Solar products he laments. 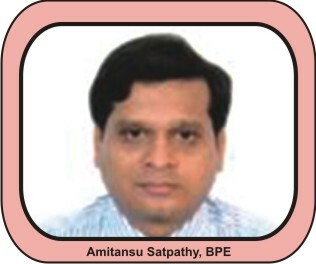 According to Mr. Amitansu Satpathy, Managing Director BPE, his company follows the concept of economy of scale ensuring right product and right quality. BPE manufactures its products from Best manufacturing unit available in China, Taiwan, Italy & Turkey. Our factories are equipped with high speed SMT production lines and the best available online automatic testing equipments resulting in high quality error free production. BPE has a capacity of manufacturing UPS up to 500 kVA along with battery banks, harmonics filters, accessories and allied products to provide an end to end power backup solution. In addition to providing technologically superior, quality products that meets the global standards, BPE's Power Solutions helps meet another dimension of business needs today - On time and short delivery times. Current day business needs require that projects are completed on time as projects overruns lead to an unprecedented opportunity loss in Telecom, IT setups, Data Centers, Medical establishments and Industry at large. During demonetizations we faced difficulties for was lack of cash for local transportation of products, where cash was needed and maintenance was effected. GST application we are satisfied with 18% flat single tax for UPS. However we feel, it would really help if Batteries could also be brought at 18% tax slab. 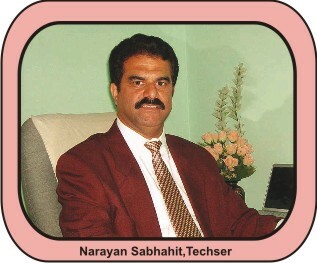 According to Mr. Narayan Sabhahit Managing Director, Techser Power Solutions Pvt. Ltd, Bangalore, believes that after the tough financial year of 2015-2016 was very challenging year due to high volatility in the market and fierce competition for top-line pie. Demonetizations also worked against the interest, as orders thou approved were not forth coming till things settled down by January end a major reason for our dip in growth. Banks have always squeezed the SMEs. Business has come to an abysmal low in the country, with little or no stocks at the end of June 2017. As it is we had to reduce our stock levels of raw material or finished goods as the rules were uncertain. There was no attempt by the Government to make things clear so as to not have a dip in production output. The tax structures should have been made simpler with one rate of tax for all products which should have made the system lot easier and does not involve much overhead for the Government during assessment which could have been easily done online. However we consciously decided to avoid any 'cut-throat' competition paradigm. We diligently decided that it is better to work on healthy orders rather that 'vanity orders' which could only boost top-line but adversely affecting bottom-line. The year also has been a year of consolidation with respect to our restructuring manufacturing and services offerings. We tried to strengthen our work force wherever required which enabled us to bounce back in to the market more strongly. What made us feel better was having a stable government at the center will aid in better confidence for foreign companies to invest in India. India has been an attractive destination for long for several foreign companies, but the major problem has been the red tape in conducting business as the laws of the land have been inherently quite ambiguous even for Indian Companies and entrepreneurs. In this regard introduction of BIS registration for up to 5 k.Va of UPS's being made Mandatory is welcome sign. The Objective in particular is correct that products meet certain safety standards. However, the formulation of the process could have been better. They should have been more specific. I feel that the important line of products that need to be certified for Safety are the equipments used for homes. They are mainly off the shelf products which conform to a certain configuration. Online UPS are used for specific commercial purposes in a supervised environment compared to a home UPS / Inverter. Hence they are not standard off-the-shelf products in the Indian context. 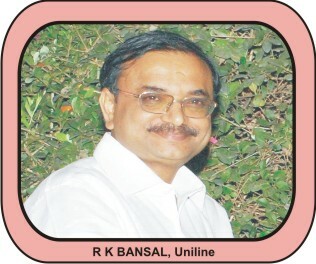 According to Mr. R K Bansal Managing Director Uniline Energy Systems Pvt. 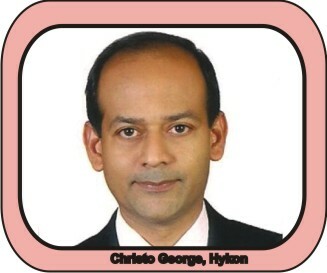 Ltd. elaborated on this issue, according to him when we speak about market, we have an enterprise market segment in mind. Most of the top notch UPS companies like APC, Eaton, Numeric etc to some extent mostly serve this business segment. Our strength lies in Govt. sector & PSUs. As per our understanding, the market segment revenue (excluding precision A/C, Electrical distribution, etc.) for UPS Systems is close to INR5000 Cr. Looking at the present market scenario, the revenue collection from this segment shall be within INR 3500 to 5000 Crore in the current fiscal this year. We had a tough time this year with revenue falling by over 30% in 2014-15, however we able to arrest this trend as the dip was merely 1% in 2015-16, however in 2016-17 we again suffered a dip of over 19% due to demonetizations process. GST is good news but 18% tax slab for UPS and batteries would have been ideal. ITC of sales done under previous tax regime was is a cause of worry, with such huge tax reform, govt should have come up better prepared. Currently there is more emphasis on best utilization of existing IT facilities and also human resource. Governments buying has also gone down. In BIS requirement the awareness and understanding is missing among several UPS manufacturers and several smaller players are not aware of such requirements. In addition, the home users' awareness that only BIS certified / registered products should be bought is also low. 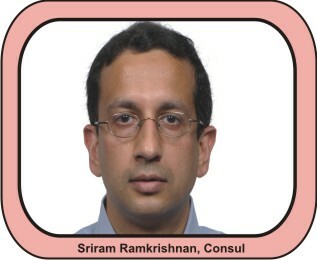 With the implementation of GST, Mr. Sriram Ramakrishnan, MD, Consul is very upbeat. But feels that Govt should have educating the account professionals and also built up more robust Software and Hardware infrastructure. Today tax payer is confused lot with too many changes in too small a time. More so, the penal provisions which are incorporated are too stringent and given the discipline that is currently, it is not possible to adhere without a large working capital. The tax laws in India have always been unclear especially with the applicable rates for various products. No where in the HSN listing the term Solar Inverter is used, which is a separate product in itself. Should we charge at 5% or 28%, he questions. This invariably gives a lot of room for the tax authorities to harass at the time of assessment which happens after several years. By then lot of damage has already happened and the manufacturers are left with no other option than to go to the courts for remedy which in general takes a lot of resources to fight. This aspect of vagueness in tax rates has not changed and such uncertainties prevail in the GST regime as well. As regards demonetizations it was temporary phase where some cash related transactions for local transportation of product and maintenance issue were effected. However major order were also put on hold as Banks were busy handling the old notes exchange pressure. But overall we did not phase any dip in sales or anything to complain. The move towards mandatory BIS for UPS upto 5kva has cleared up a lot of air by bringing in standards for the product. It has reduced but not totally eliminated the so called "fly by night" operators, that can only be achieved through a program to educate customers as a lot of customers adopt a price first stance for evaluating and buying a UPS, he laments. Price is the key in a commodity market. A UPS is not a commodity especially for the larger 3 phase or Enterprise Class UPS. The Chinese effect is strong in the small single phase UPS and lower capacity three phase segment as the domestic manufacturers were caught on the wrong foot with old technology and high prices. In this segment it will be a challenge to match the Chinese players on price keeping in mind the infrastructure and manufacturing scale that they have built. With no differentiation in technology and features, single phase and smaller three phase UPS has become a commodity product with low margins. The enterprise class UPS segment is at the other end and dominated by European and American MNC's. Growth of the Indian UPS industry has been anemic for the last two years. This has forced many UPS players to diversify. But with now signs of economic growth, we look forward to at least strong single digit growth this year and next, he laments. Implementing GST is being made Mandatory, it is good for Branded / Manufacturing Companies as a whole. As a growing market, India is our main focus of attention. The main advantage is we have our own manufacturing plant with our own separate design, R&D and implementation teams. If there is a demand for a new design, we can get that ready within speculated time. These factors place us a notch above the rest in the market. Another advantage of GST is a major challenge faced by Indian UPS market is the import of cheaper systems, local brand with poor quality products, competition from unorganized sectors, fluctuating commodity prices etc. But due to GST implementation made mandatory, the companies have become organized and aggressively pushing their products at a reasonable price and with advance technology. As a result, small URD companies and "fly by night" operators will be unable to cope up with this situation and will lose ground. For taxation, GST Slab for UPS is 18%. In this regard introduction of GST 28% is for UPS's with batteries and we believe it should also be lowered to 18%. This will help to rationalize the quality of products, he laments. He further adds, We are GST Complaint. In the GST system, taxes for both Center and State will be collected at the point of sale. Both will be charged on the manufacturing cost. Individuals will be benefitted by this as prices are likely to come down and lower prices mean more consumption, and more consumption means more production, thereby helping in the growth of the companies. GST is one of the greatest reform happened in India in Tax front. For a manufacturer like Hykon, GST tax system is a great relief. We find GST easy to implement compared to VAT, Central excise etc. With GST it is not easy to evade tax. So level of playing ground becomes same for all. The cost advantage for smaller players was the tax amount. So once everyone starts paying tax, the cost advantage of many smaller players or bigger players goes. GST was introduced to make tax system single with one or 2 slabs. But the same product like battery comes in different slab, which the GST system is complicated. All battery should be made one slab. Otherwise the Government is giving ways for complications in future. In future with introduction of Lithium-ion battery, same battery can be used in vehicles and UPS. For UPS systems it is good, GST is fixed at 18%. The reason is for smaller companies which were not paying central excise were enjoying only VAT 5%- it becomes hard, as the selling price will have to be revised for an increase of 23%. But for companies like Hykon who were paying 12.5% Central excise and 14.5% VAT on Kerala, GST will not make any big difference., he laments. On BIS standard is good. But I don't know the profitability will increase. The reason is the UPS had entered into a matured market where the profit becomes very thin and small capacity volume of UPS is coming down as the use of desktop is going down. The main drawback for Indian companies to make UPS in India is the lack of technology. 80-90% of High frequency UPS selling in India is imported, not manufactured. Even there are more than 800 UPS companies in India, no one have the right technology. What Government should do it source or develop indigenous High frequency Technology and provide this to all UPS manufacturers. This will strengthen the UPS manufacturer in India and stop imports. We can compete with China as the manufacturing cost of China is going up, which make Indian UPS competitive., he adds. He further adds many companies including us are solar is the diminishing profit margins of UPS. The solar system have almost same contents. It also need installation and service which UPS industry is familiar with. But in Solar the biggest challenge will be working capital as collection takes more time as it is a project. So for UPS industry it's good to move into Solar, if sufficient capital is there. 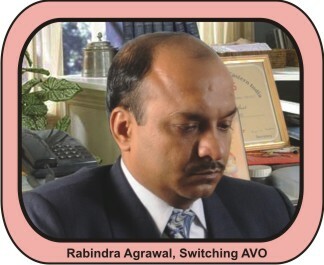 According to Mr. Rabindra Agrawal, MD Switching Avo as GST has been introduced since July 1, 2017. Given the size of Indian economy and the way business is done in India, the side effects of a poor implementation was not thought through. Too many changes in too small a time. More so, the penal provisions which are incorporated are too stringent and given the Indian attitude, it is not possible to adhere without a large working capital. Working capital, in itself, in India is an issue for small and medium enterprises, with their customers purchasing on credit and payment periods are uncertain. However he further adds, we have been observing strict discipline over credits and payments, which makes our suppliers trust us even in tough times. Since GST warranted change in IT systems, many organizations have implemented changes without taking into account the challenges that they would face over migration from the CST/VAT regime to GST. Many Public sector units and corporate are harassing the suppliers with non-payment for invoices raised in the CST regime and have kept those pending without knowing how to handle them. This has put many of their suppliers in distress, laments. On the issue of Reverse Auction fast becoming the new normal for purchase he believes that the only way customers can be spoken out of is by explaining the demerits of Reverse Auction and making them understand. (1) In some tenders, customer is procuring at prices which are higher than what they would otherwise procure in closed tenders. (2) Customers are getting supplies which are compromised in terms of specifications which they are unaware. On the Supplier's side, (a) the reverse auctions are just too time consuming, sometimes the process takes almost a full day, (b) too much dependence on network/internet connectivity and infrastructure issues (c) Customers themselves setting unrealistic starting bid prices. BIS certification is a welcome initiative by the government. This will ensure that all goods are safe to be used by the the end users. However lack of testing centres / facilities coupled with vast inventory vide importing by thousand of Indian vendors will make it extremely difficult for importer to get a BIS certificate timely. However he does not think so that BIS certification will throw out small players. Yes, may be fly by night operators will be thrown out. I feel even if small time manufacturer, if they have a good system with satisfactory procedures, BIS certificate will be a blessing and eventually the BIS can be a big tool to improve the small/medium manufacturer. He adds service & support are our forte. Third Party Servicing / Maintenance is a concept that is emerging since the last few years. Big Customers adopt this concept to ensure single point of contact for maintenance to ensure that they concentrate on their core competency. It is a good option, as long all UPS are serviceable by anybody. We have taken this to a new level, by introducing App oriented services. Several big service companies are adopting this and the concept is catching up. This is mainly because of poor understanding and trivializing the important issue. Most organizations are becoming too sensitive to costs and are taking hasty decisions to award support to third parties he laments. 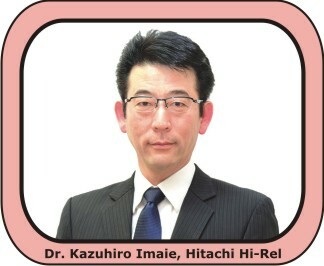 According to Dr. Kazuhiro Imaie, CEO, Hitachi-Hi-Rel, today Indian power conditioning market is getting more sensitive and mature to the evolving needs of the businesses. With India assuming a key role in the Asian economy, businesses have become attuned to the fact that they need to be robust in terms of infrastructure to attract and retain investors. Hence, Business Critical Continuity is being viewed strategically and upcoming businesses are realizing the importance of factoring and aligning it as key component in the overall business model. Adding further they say we view the present market scenario as an opportunity to strengthen our company's presence in Industrial market segment. Extremely low prices are unsustainable if quality/service levels are to be maintained. Price erosion beyond a point hurts all stake holders - manufacturers, channel partners, customers, etc. If it continues beyond a point it will lead to disastrous consequences for vendors. We have taken a wise decision not to take up orders were we have to cut down on margins this has lead to increased profitability where we are successful to a great extent and the results are showing but top line takes the hit. We have been showing strong performance in the Solar Power Control Units (SPCU) arena. According to Mr. 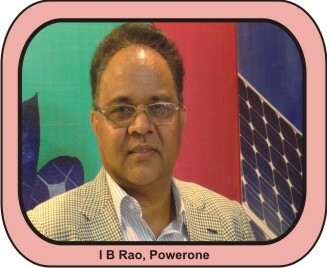 I B Rao & Mr. M R Rajesh of Power One Micro Systems Pvt. Ltd. opines that Softdisk has a scientific approach towards market analysis, for its volume and revenue of the UPS Market (UPS + Batteries and service sales). Mr. I B Rao opines implementing GST is being made Mandatory, it is good for Branded / Manufacturing Companies as a whole. Advantage of GST is a major challenge faced by Indian UPS market is the import of cheaper systems, local brand with poor quality products, competition from unorganized sectors, fluctuating commodity prices etc. But due to GST implementation made mandatory, the companies have become organized and aggressively pushing their products at a reasonable price and with advance technology. As a result, small unorganized companies and "fly by night" operators will be unable to cope up with this situation and will lose ground. For taxation, GST Slab for UPS is 18%. In this regard introduction of GST 28% is for UPS's with batteries and we believe it should also be lowered to 18%. This will help to rationalize the quality of products, he laments. He further adds, but in case of Solar inverter, there is lot of confusion, our GST planners should not only used tax professionals but also IIT educated electronic graduates to classify, Static Inverter, SPCU when supplied with EPC as project, separately. Or one slab of 18% for all electronic equipments including batteries would have solved the problem. But confusion still prevails. It is only after first GST audit that we will come to know the real classifications. 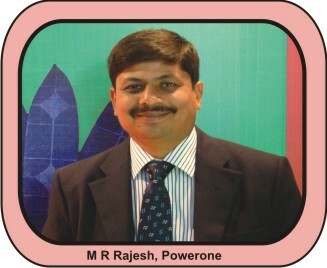 Mr. Rajesh further adds : In the battle to capture the customer, Indian companies are using a wide range of tactics to ward off competitors. Increasingly, price is the weapon of choice and frequently the skirmishing degenerates into a price war. Creating low-price appeal is often the goal, but the result of one retaliatory price slashing after another is often a precipitous decline in industry profits. Price wars can create economically devastating and psychologically debilitating situations that take an extraordinary toll on an individual, a company, and industry profitability. No matter who wins, the combatants all seem to end up worse off than before they joined the battle. And yet, price wars are becoming increasingly common and uncommonly fierce. We have made it a point not to burn our fingers in such price wars. We concentrate on bottom line an that is how it works for us. 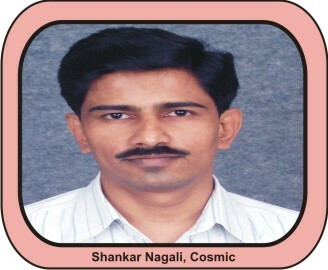 According Mr. Shankar Nagali, Cosmic Micro Systems, now a days we see service tenders being floated separately many a companies import low quality products, install and maintain it for three year and leave the scene giving rise to such service tenders being floated. He was very vocal on the subject of third party maintenance that it is common knowledge that, though UPS being a proven technological concept, differs in its construction based on manufacturer. Components for spares sometimes become inaccessible leading to servicing difficulties resulting in replacement of a UPS with another equivalent product. This method proves costly for the maintenance vendor and the customer loses the original asset quality which is not clearly visible during the life of the maintenance contract. This is a perceived loss to the customer. UPS OEMs on the other hand lose their valuable service revenue which was hitherto their assured income. However with the advent of GST we believe this practice will come to an end. According to Mr. Vinod of Arvi GST is one of the greatest reform ever happened in India in Tax front. For a manufacturer like Arvi, GST tax system is a great relief. We find GST easy to implement compared to VAT, Central excise etc. With GST it is not easy to evade tax. So level of playing ground becomes same for all. The cost advantage for smaller players was the tax amount. So once everyone starts paying tax, the cost advantage of many smaller players or bigger players goes. In future with introduction of Lithium-ion battery, same battery can be used in vehicles and UPS. For UPS systems it is good, GST is fixed at 18%. The reason is for smaller companies which were not paying central excise were enjoying only VAT 5%, it becomes hard, as the selling price will have to be revised now. BIS standard is a good introduction. But I don't know weather the profitability will increase. The reason is the UPS had entered into a matured market where the profit becomes very thin and small capacity volume of UPS is coming down as the use of desktop is going down. The main drawback for Indian companies to make UPS in India is the lack of technology. 80-90% of High frequency UPS selling in India is imported, not manufactured but it is not so at Arvi, we have developed our own cards. With a single card three phase output with IGBT, double conversion technology. You can actually see these cards being manufactured in front of your eyes. 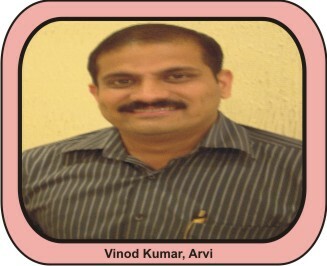 Vinod Kumar of ARVI has setup a 100% EOU for exporting Online UPS and solar solutions. ARVI has also commissioned solar solution for irrigation purposes, which has a huge potential apart from enhancing its market share in niche products specially designed for medical and industrial sectors for critical applications. 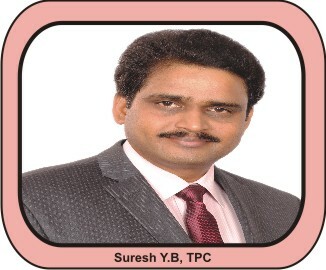 Mr. Y B Suresh, Director Total Power Conditioners Pvt. Ltd. believes that GST will avoid multiple taxation in different parts of then country and make business simple and seamless across the country and will not have to face competition from Fly-by-Night operators who evade tax and give extremely low rates will be greatly reduced. But he is skeptic on ITC refund. Input credit for products like Solar PCU with all input RAW materials available at 18 to 28% slab and out put tax is at 5% will make the manufacturer eligible for refund, so an average refund will be 10 - 14 % of the company's turnover so for small scale industries this is a burden if the refunds are not happening on Quarterly basis. Ex: if any manufacturer is doing a T/O of 5 crores then yearly refund will be 50 to 70 Lakhs. It is natural for the companies to move towards Solar as solar product with few more technical components compare to UPS and enhancing the profit margin, this trade is familiar terrain for UPS Manufacturers, he laments. He further adds because solar is picking up in fast pace so UPS may be replaced with SOLAR PCUs and country is moving from power shortage to power surplus UPS requirement may gradually going down from present level Other way around because of industrialization is also picking UP and may push the demand for the UPS In both the cases people from the UPS industry are working so we can expect it to grow. 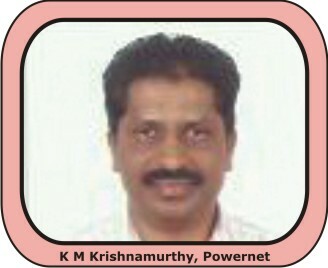 According to Mr. K M Krishnamurthy Managing Director, Powernet Solutions Pvt. Ltd. Bangalore, believes that "In the past year the net materials cost of all the products gone up and we are taking all cost cutting measures to control the pricing and offer great value to customers." We are doing reverse engineering and research to check all the possibilities to reduce cost without compromising on quality, he laments. Flow going, some people started quoting very low. But surely they can not repeat and sustain but certainly some of major companies could do it for long time. That is to play a different game to keep the share price high at the international exchange. Even they have to revert back at some point of time. We are focusing on diversified market segment like Lift Control Logic with UPS, Solar PCUs and closely working with few OEM buyers in that segment and working on new design to reduce cost of production and support small time OEM buyers. 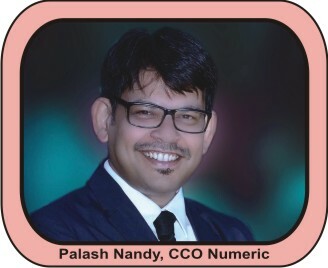 Mr. Palash Nandy has 28 years of rich experience in Sales, Marketing and Strategic Planning at Legrand, Who joined the Legrand group in 1990 as a Sales Trainee in Kolkata. 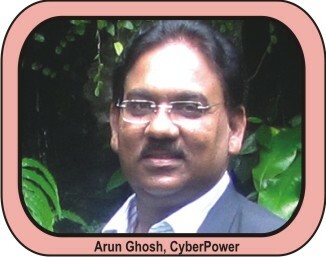 Subsequently he has many positions in Sales and Marketing in India. His last assignment before Numeric was at the Group HQ in France as Group VP Strategic Planning. Effective July 2016 he has taken over as CCO of Numeric which is a group brand of Legrand. According to him Softdisk is the oldest and largest circulated magazine and it gives a wide range of information from latest product news to in-depth articles on power electronic industry and its reviews & forecasts. The publication has been conducting surveys in the various segments of Power, Solar & IT Industry and coming up with SD Awards. These surveys provide an in-depth analysis of the some segments of the Industry and users utilize it as one of their decision making tools and also as a guide of the Industry. Softdisk is of the view demonetization, GST, Cut Throat Competition or what ever UPS is an CAPITAL EQUIPMENT and not a box pushing activity. In the absence of a detailed technical selling and service center audits, Some certification & Standards which can be purchased without even performance, reverse auction becomes a simple number game for everyone. This will lead to killing the very industry practice itself and the customers will realize this after few years later. If this is for computer stationery (or) purchase of tube lights etc then the reverse auction is Ok as most competitive bidder will sell more. Softdisk believes that being a negligible contributor to the GDP, Power Electronic Industry does not receive enough attention from the Govt., we believe the Govt. should realize the importance of Power Continuity with Quality as it is the life line of major GDP contributors. Softdisk has seen it all over the past two & a half decades, more often then not some of the companies use a lot of word jugglery in there promos, it must be the same thing which some one else must be offering without making lot of noise and at a better price. It is one area where customers need to be watchful. Softdisk believes that if Manufacturers mad rush for sale will only decrease their profits and ultimately lead to their collapse. So UPS business is not rosy and bright but has still not lost its potential and will stay for ever.